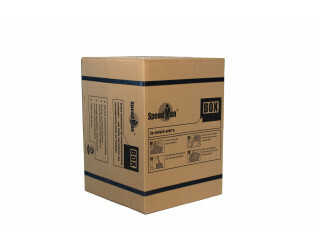 This Speedman Paper Void Fill Box is a paper cushioning solution for small or private consignors with lor or irregular shipping needs or a limited filling volume requirement. 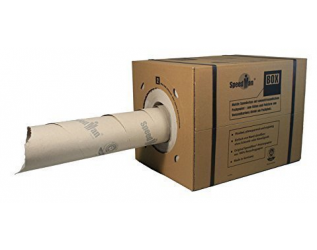 The Speedman Box is the ideal starter solution for environmentally friendly and uncomplicated packaging. 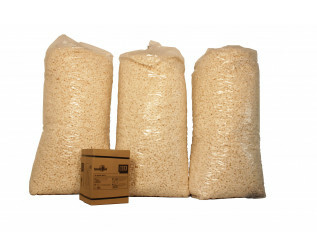 Each handy box contains 390mm x 450m x70gsm paper roll, providing the equivalent to 1.5 cubic metres of void fill or 3 bags of loose fill chips, and is ready to use without any additional aids. Simply remove the card disc from the front of the box and pull the required length of paper. The easy tear paper allows for a fast and efficient application for a variety of void fill applications. This Paper Void Fill is made from 100% recycled paper and is also 100% recyclable itself, helping to close the loop for the environment.